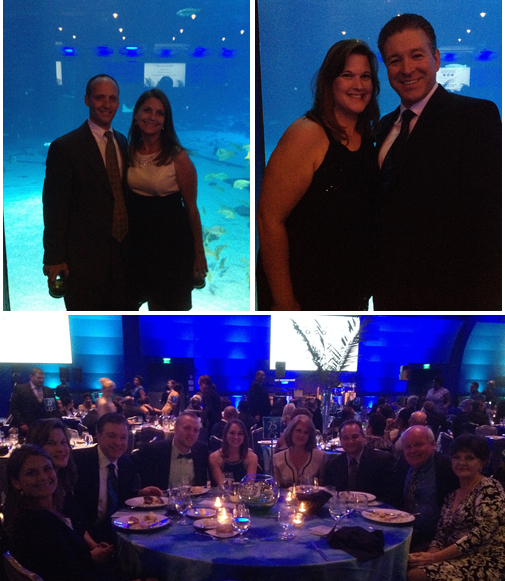 FSI was proud to support the charitable organization Caring For Others, Inc. (www.caring4others.org) in their Art of Nature Gala event held at the Georgia Aquarium. Caring For Others, Inc. is a human services organization established to facilitate personal dignity and provide basic necessities to economically-disadvantaged individuals, senior citizens, the disabled, the unemployed, and families with children. They offer an advanced model for human services that strives to prevent the familiar cycle of poverty many people face today. Caring For Others helps stabilize lives by meeting immediate basic needs of food and clothing, and then provide support to help clients become more self-sufficient. It was a great night for a great cause, and the atmosphere at a Georgia Aquarium event is hard to beat. I suppose we can rest from our day jobs of order picking, inventory management, kit packing and shipping to have a little fun out on the town. Back to the grind soon though to get those orders out.